Project One is due at the end of week four (the night of Session #5). As you work towards completing section 3 of Project One this week, The Horizon Report might help give you some ideas for emerging technology to add to Section three. 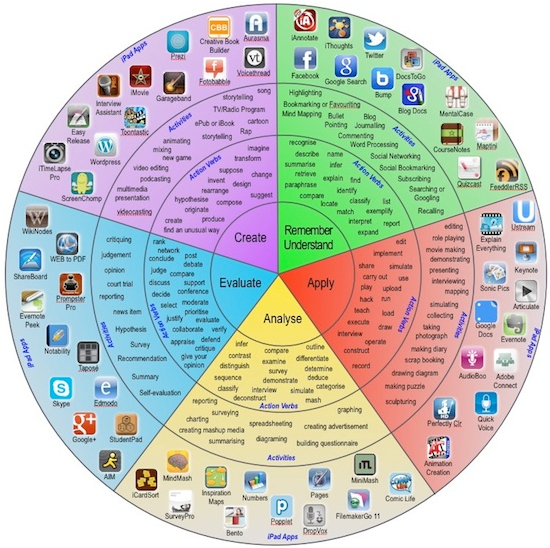 with verbs for each Bloom's level and specific Ipad apps that can be used to address each one. This can be really helpful for working on your grid! !